He stole the show with his high-spirited antics at Princess Charlotte’s christening on Sunday. But fortunately Prince George was on his best behaviour when it came to the official photographs of the occasion, which have just been released by Kensington Palace. Taken by legendary fashion photographer Mario Testino, the images show the Queen and three generations of royal successors – Prince Charles, Prince William and, of course, George – at Sandringham House, her private Norfolk residence. The Duchess of Cambridge holds her daughter, whilst her husband, Prince William, places a protective arm around their son, who sits with his legs up on the seat. Joining the family on the front row is the Queen, who looks resplendent in a pink coat, matching hat and floral dress. Michael Middleton, Pippa Middleton, James Middleton, Carole Middleton, Prince Charles, the Duchess of Cornwall and the Duke of Edinburgh smile as they stand on the second row. One notable absentee was Princess Charlotte’s uncle, Prince Harry, who is enjoying a three-month stint in Africa to spend time working as a wildlife ranger. 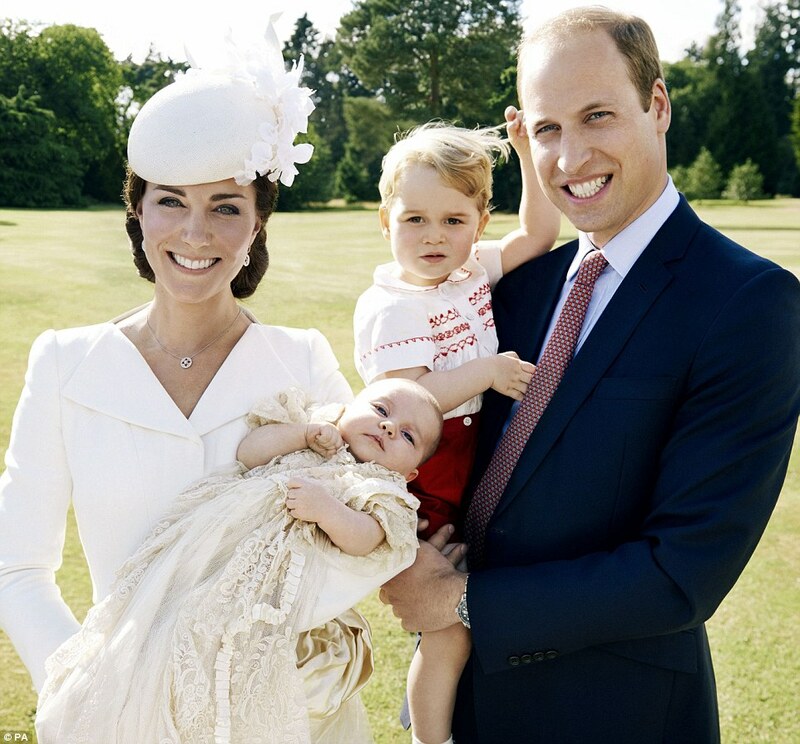 William and Kate chose to release four photographs in all – one formal family shot and three more intimate pictures of themselves with their children. 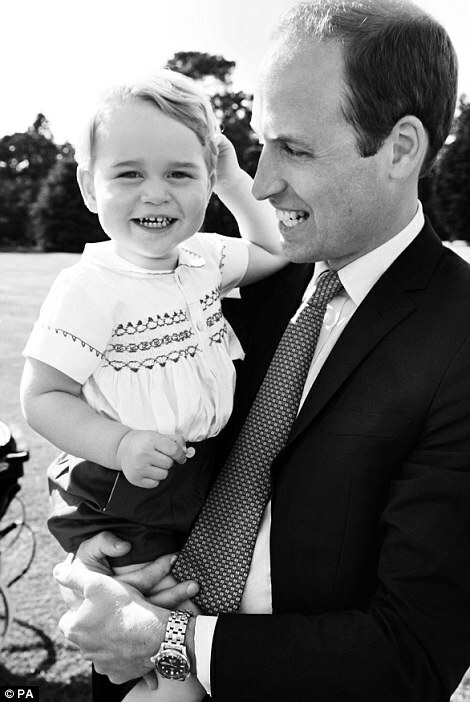 The photographs were taken by Mario Testino in the gardens and Drawing Room at Sandringham House immediately following Princess Charlotte’s baptism.